Generally the condition is the result of tissue relaxation with aging, although it may also occur as a result of facial nerve paralysis (Bell's palsy), trauma, scarring, or other surgeries. The wet, inner, conjunctival surface is exposed and visible. Normally, the upper and lower eyelids close tightly, protect­ing the eye from damage and preventing tear evaporation. If the edge of one eyelid turns outward, the two eyelids can­not meet properly, and tears are not spread over the eyeball. This may lead to irritation, burning, a gritty, sandy feeling, excess tearing, visible outward turning of the eyelid, and redness of the lid and conjunctiva. The irritation can be temporarily relieved with artificial tears and ointments to lubricate the eye. Surgical treatment for an ectropion often depends on the underlying cause, in the type of ectropion associated with aging, Dr. Landa may elect to shorten and tighten the lower lid. 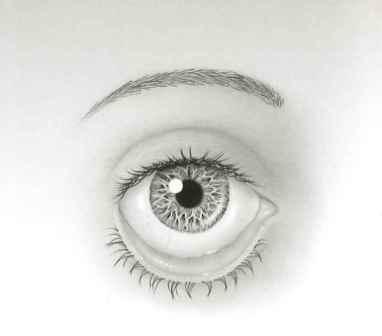 This typically is completed with an incision of the skin at the outside corner of the eyelid and reattachment of the eyelid to underlying tissues and the upper eyelid. Sometimes, there are scars following trauma or the sur­gical removal of skin cancers. Sometimes he may need to use a skin graft taken from the upper eyelid or from behind the ear to repair the ectropion. Both the donor site for the graft and the surgical site will usually heal nicely within two weeks following the surgery. The surgery to repair ectropion is usually performed as an outpatient procedure under local anesthesia, and with the patient lightly sedated with oral and/or intravenous medications. You will commonly use an antibiotic ointment for about a week. After your eyelids heal, your eye should feel comfortable again. Most patients experience immediate resolution of the problem once surgery is completed with little if any post­operative discomfort. After your eyelids heal, your eye will feel comfortable and you should no longer have the risk of corneal scarring, infection, and loss of vision. Patients are most commonly treated by ophthalmic plastic and reconstructive surgeons who specialize in diseases and problems of the eyelids, tear drain, and orbit (the area around the eye). You should look for a doctor who has completed an American Society of Ophthalmic Plastic and Reconstructive Surgery (ASOPRS) fellowship. This indicates your surgeon is not only a board certified ophthalmologist, but also has had extensive training in ophthalmic plastic surgery. When you are ready, you will be in experienced hands. Not only is Dr. Landa a board certified ophthalmologist but he is also a fellow of the American Society of Ophthalmic Plastic Surgery.